They are so pretty. I love goldfinches. Very sweet photo. Would be good for Friday Fences too! Waiting for Thanksgiving dinner! :D :D Pretty, Misty! I love this capture of all the birds on the wire fence! Do you know what kind of bird this is - I saw a similar one at my feeder the other day and couldn't identify. 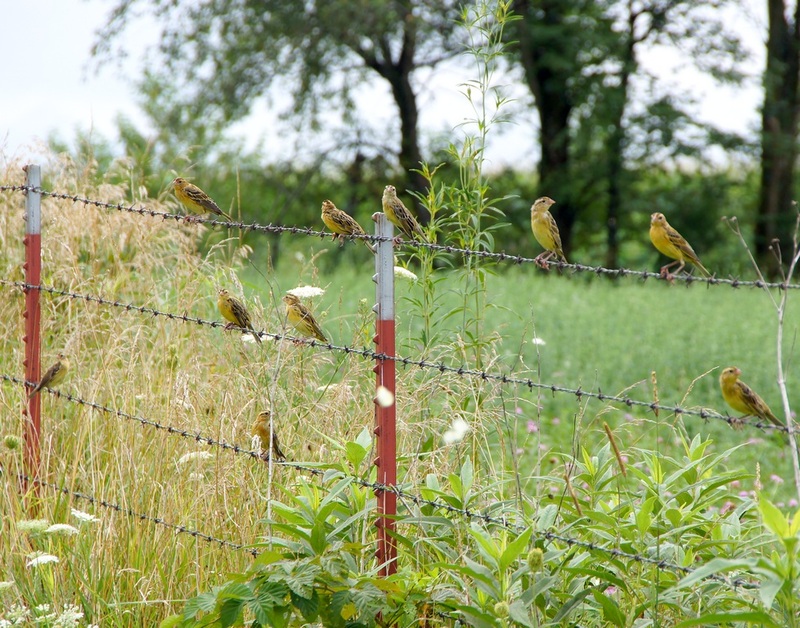 They're not Goldfinches - we have lots of those here. Thanks for hosting CC - enjoying all the submissions! I rarely get to see goldfinches so these are lovely to see. All those birds in a row - so delightful! 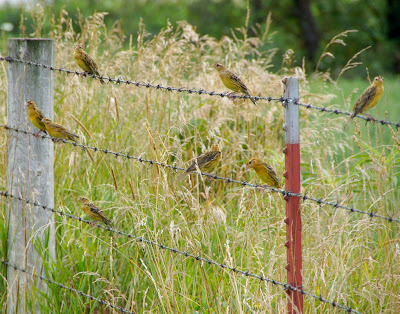 A wonderful site to see all of those finches on the fence. So nice to see. 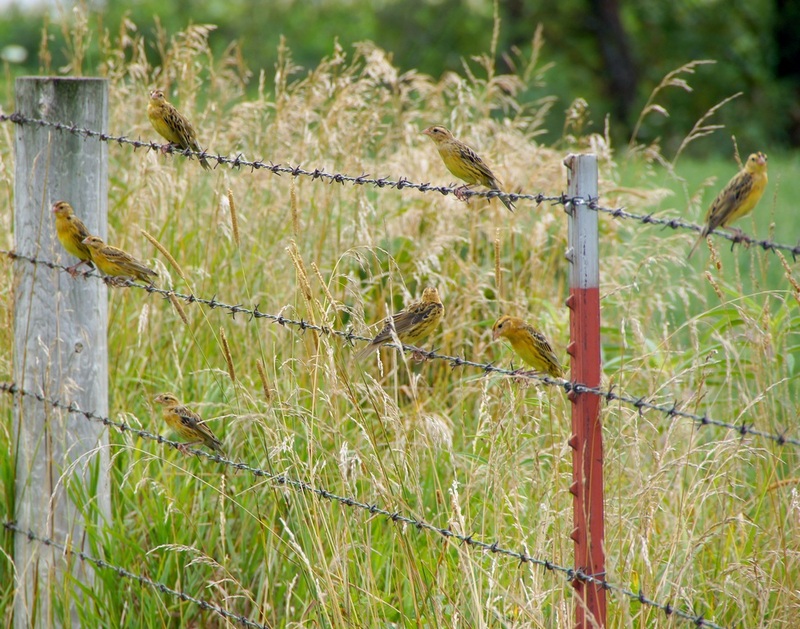 Nice bunch of Bobolinks. Sure don't look like the male does, though...hehe. Very nice! They are beautiful birds and wonderful to see so many. Great shots, have a wonderful weekend! Oh my gosh, there are so many of them! What neat photos! Indeed lovely! you're so lucky to shot such unsuspecting pretty birds! What pretty birds. How fortunate you are-- I've never seen so many at once around here. Hi angel girl...remember me? ;-) I love these sweet images. I would have loved to be standing right next to ya! They are so plenty there maybe they eat those grass seeds. But do you know what those birds are called? Thanks for hosting us here.